Turnarounds and Construction are our business. Repcon was the first mechanical contractor to receive OSHA’s VPP STAR Mobile Contractor designation in 2005 and was just re-approved for the fourth time. Further, Repcon is one of only a select few contractors listed in the OSHA Federal Register, where their policies and procedures have been approved for all 10 Federal Regions. Download our latest brochure and our service sheets to learn how Repcon’s services can benefit your next turnaround project. 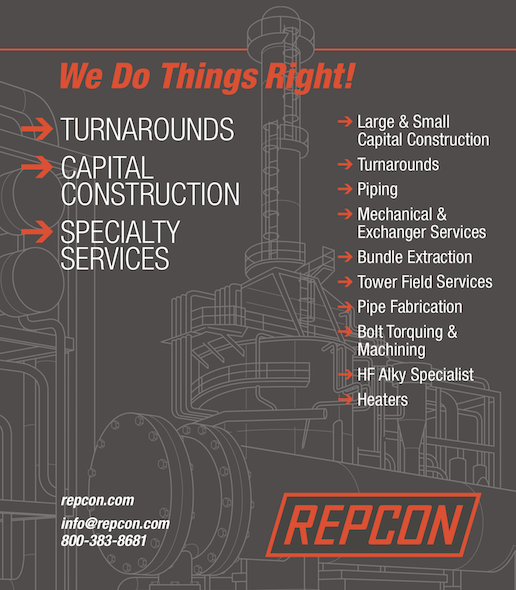 Read our article Repcon Does Pipe Fabrication Right. 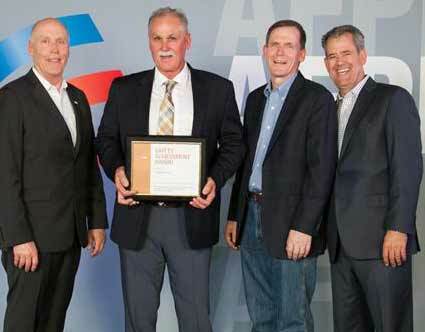 Repcon is proud to have been recently recognized by 15 clients for our outstanding safety performances in 2017 with AFPM Contractor Safety Achievement Awards. Recognizing maintenance contractors working a minimum of 20,000 hours per calendar year at a regular member facility, Repcon was presented the prestigious award at the May, 2018 AFPM Contractor Safety Achievements Banquet in San Antonio. Read about our new leadership and expanded specialty integrated services. 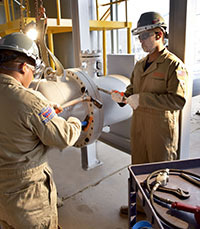 In 1993, ABC launched a program, The Accredited Quality Contractor Program (AQC), which recognizes those construction firms which have documented their commitment to quality in six key areas of corporate responsibility, including quality, safety, management education, craft training, employee benefits, and community relations and outreach. The AQC program is an annual accreditation and Repcon received recertification in 2017. Repcon has also earned an ABC National Excellence in Construction 2017 award, ten AFPM Contractor Safety Awards, numerous South Texas Safety Excellence Awards, and multiple ABC STEP Diamond Awards. Repcon has opened a hands-on training & practical testing facility that provides training for: tower set up, exchangers, boilermaker skids and piping arrangements. Since opening in 2015 to address the shortage of qualified craft workers thousands have been trained on next-generation tools and equipment.